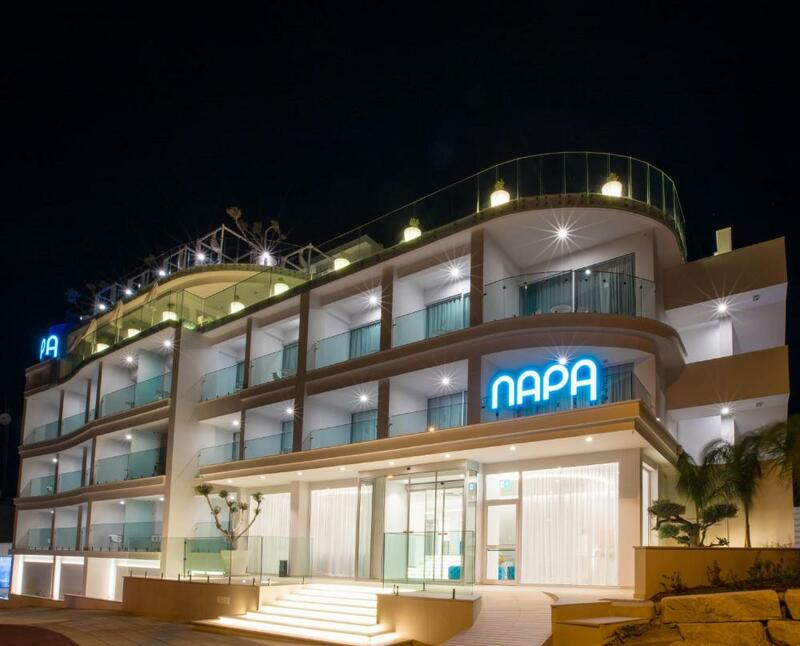 The Napa Suites hotel opened in 2018 and offers luxury modern hotel accommodation close to the centre of Ayia Napa. Located at the northern entry to Ayia Napa, the Napa Suites has exceptional panoramic views across the resort of Ayia Napa to the sea. The bars and clubs in the centre of the town are just 5 minutes walk away down the hill. The hotel has a rooftop infinity pool and offers high quality suites ideal for couples or groups of friends in Ayia Napa.